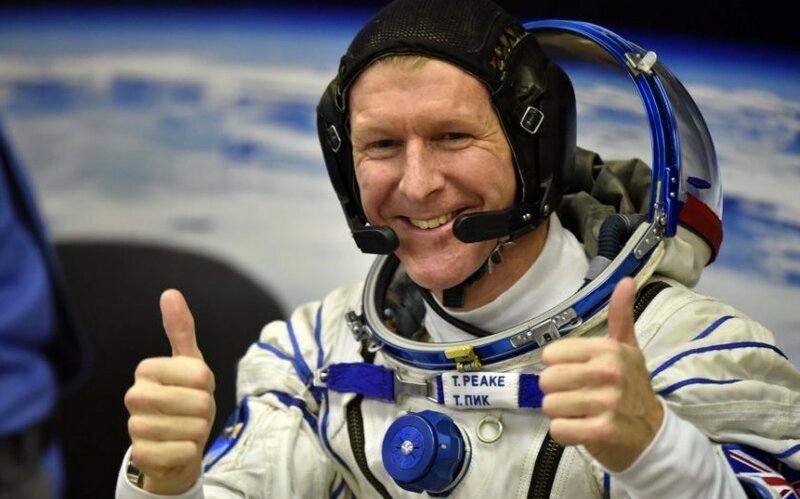 Tim Peake has apologized in a Twitter post after dialing a wrong number from space. The British astronaut, a father-of-two from Chichester, West Sussex, arrived at the International Space Station (ISS) on Tuesday, December 15. Tim Peake, 43, is spending six months conducting scientific experiments on the station. Earlier in the week, he helped two fellow crew members to conduct a space walk outside the ISS. NASA astronauts Tim Kopra and Scott Kelly went outside the ISS to fix a broken component. Tim Peake, who is a former major in the Army, is the first Briton to join the crew of the ISS and is employed by the European Space Agency (ESA). Tim Peake, 43, was waved off by his wife and two sons, Thomas, 6, and Oliver, 4, at the Baikonur Cosmodrome in Kazakhstan.